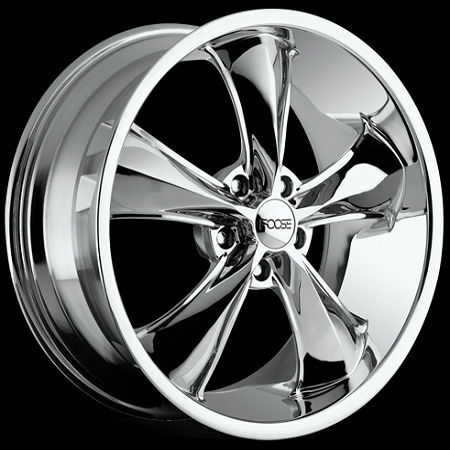 Foose Legend one-piece chrome plated custom wheels with the timeless vintage five spoke styling with a new look. Smooth outer lip goes straight toward the back of the wheel through the spokes giving this wheel a deep lip look. 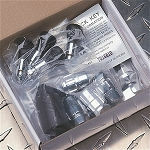 Come complete with lugs, center caps, and chrome sleeve valve stems.